Flat feet, as the name indicates, occur when the long inner arch of your foot is no longer an arch. It is lowered and flattened, and this can cause pain in that part of your foot. The first step at The Foot Clinic is to assess your feet and, if you show symptoms of flat feet, to give you a clear diagnosis. We use advanced biomechanical assessments of your feet, legs, knees and hips, and analyse your walking pattern. Then we will advise you on the best treatment options. We see patients experiencing pain in their heel or ankle due to a number of reasons – Heel Spurs, Plantar Fasciitis, Fracture to name a few. A Bio-mechanical assessment is how we assess the bio-mechanics of your body. In particular how your body, and the different parts, move in relation to each other and the ground they are supported by. The tarsals are the bones at the top of the arch in your foot (the heel and the ankle). When the tarsals fuse together in an unusual way, it causes this specific type of flat feet, as well as stiffness in the ankle. 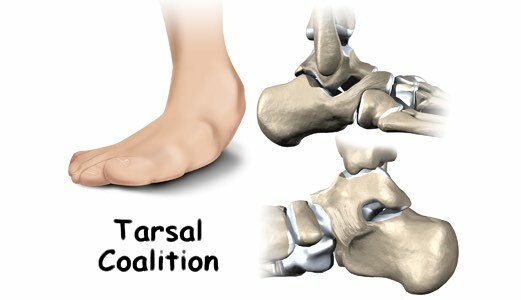 Tarsal Coalition is believed to be caused by genetic factors. The posterior tibial tendon starts as a muscle in your calf, travels down the inside of your lower leg and attaches to the bones on the inside of your foot. This is the tendon that holds up the arch, and it supports the movement of your foot. If this tendon becomes weak or inflamed, you will see a slow collapse of the arch and suffer from flat feet. The problem tends to occur more frequently in women over 40. Flat feet can also be caused by a fracture, an ankle injury, caused by acute trauma or in high impact sports. A rupture in the posterior tibial tendon will make the arch in your foot disappear and the tendon will suffer from an acute dysfunction. If you have flat feet, wearing high heels can cause additional fatigue and muscle strain. In this case it’s recommended to limit your time in high heels and to discuss this with your podiatrist at The Foot Clinic. 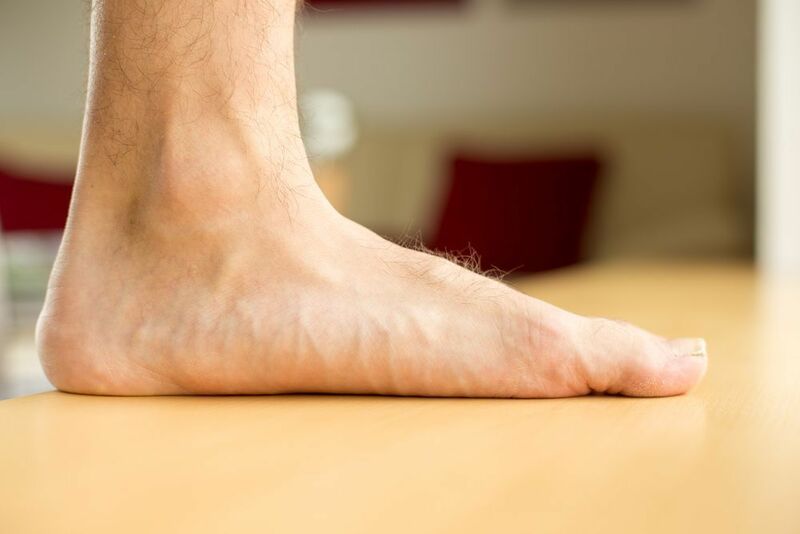 Overall health conditions like diabetes, cerebral palsy, spina bifida, muscular dystrophy or muscle diseases, can be an underlying cause of flat feet. If the arch of your feet is collapsed, you may put additional pressure on other areas of your feet. It will influence your walking pattern, and will influence other areas of your body, like your legs, knees and hips. At The Foot Clinic we will always give you an in-depth assessment of your overall “foot health”, looking at the biomechanics of your body. Then, we will discuss the available treatment options, and explain our innovative treatment options and orthotic solutions. 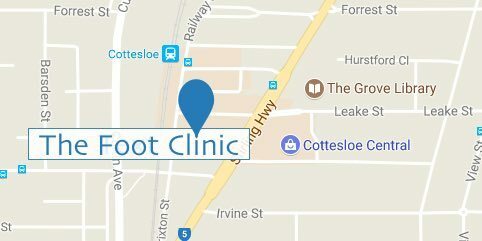 At The Foot Clinic, you will meet a team of experienced and passionate podiatrists. We believe in building great bodies from the feet up, simply because healthy feet help us live an active life. Whether it’s work, play, sports or your everyday life at home, your feet play a crucial role in your quality of life. We are known for our high quality podiatry services and we look forward to helping you overcome the discomfort of flat feet, or any other type of foot problem you may experience.